Sing to the Lord–all the earth. Make a joyful noise to the God of our salvation. The Chancel Choir invites all who enjoy singing to consider joining the choir at the 8:30AM service. You do not have to be able to read music. All you need is a joyful heart and a willingness to learn. We practice every Tuesday evening from 6-7:30PM. Our season runs from the second week in August through the last Sunday in May. Come join us when you can. Contact our Director of Traditional Worship Todd Martin for more information. 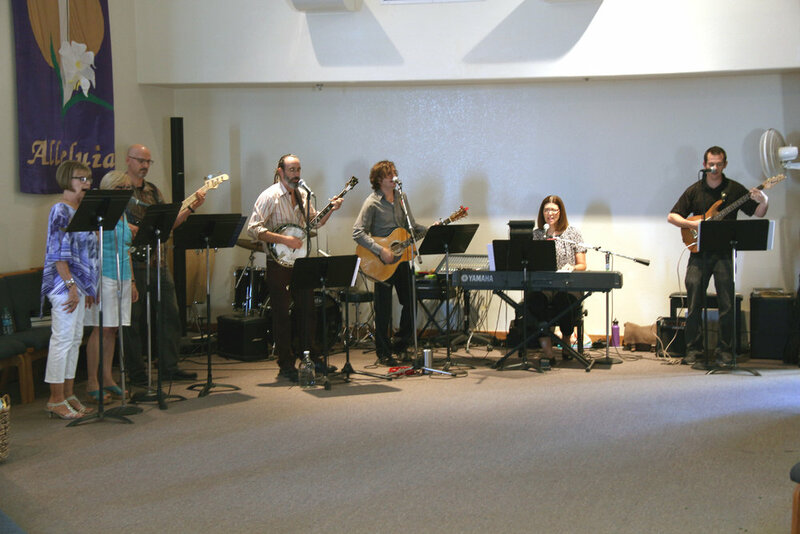 The Praise Team at Lord of Grace leads the music for the 10:30am contemporary worship service every Sunday morning. All are welcome to join, whether your gift is singing to assist in leading worship or playing an instrument to accompany the singing. Praise and Worship music are at the center of our ministry as well as prayer and devotions. The Praise Team practices every Thursday evening at 6:30pm in the church sanctuary. Contact Praise Team Director Stuart Oliver for more information.